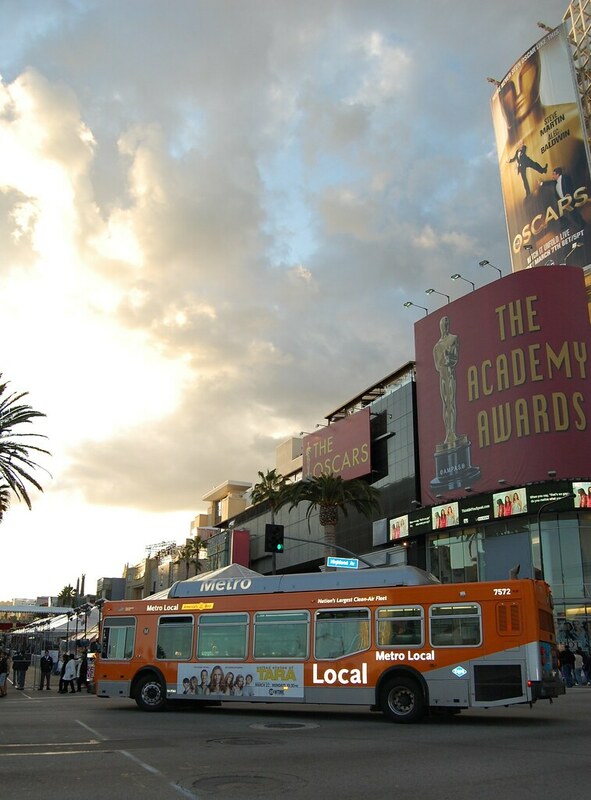 A Metro bus makes a detour for The Academy Awards. Photo by MicheleMarieCA. This photo that was recently added to the Metro Flickr group and I think it perfectly captures the Hollywood vibe. It also makes me wonder why more celebrities – who typically love to get behind a good cause once they’ve made it – don’t throw some support to L.A.’s transit system. Sure limos are great, but transit is green and has surely helped at least a few budding stars get to an audition or two early in their careers. You can also email us your photos at thesource@metro.net.